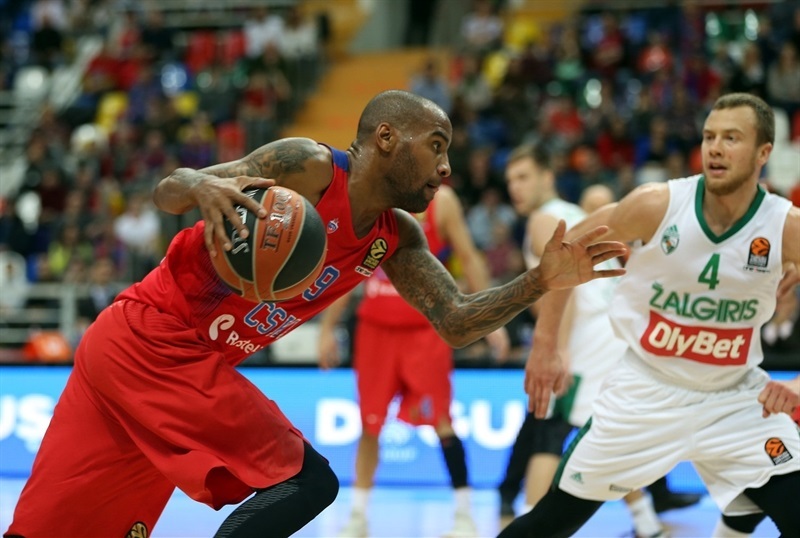 CSKA Moscow extended its home-court winning streak to 14 games by rallying to beat Zalgiris Kaunas 95-86 on Friday in the Russian capital. 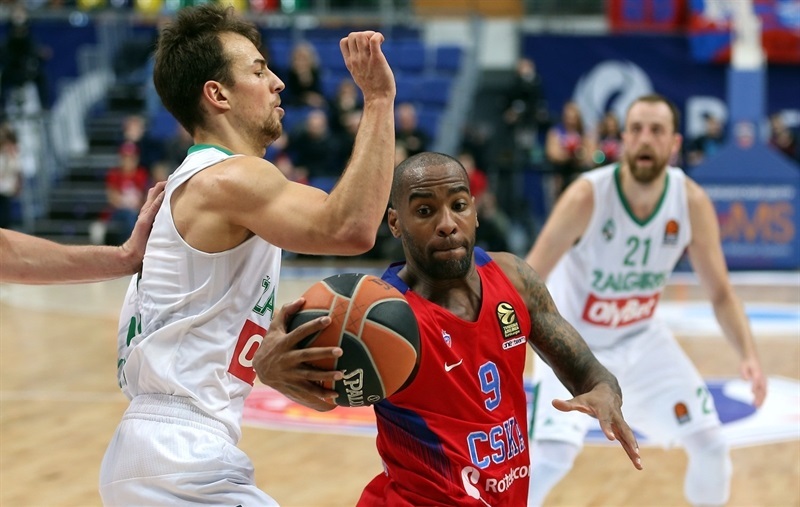 CSKA remains in sole possession of first place with a 7-1 record, while Zalgiris dropped to 2-6. 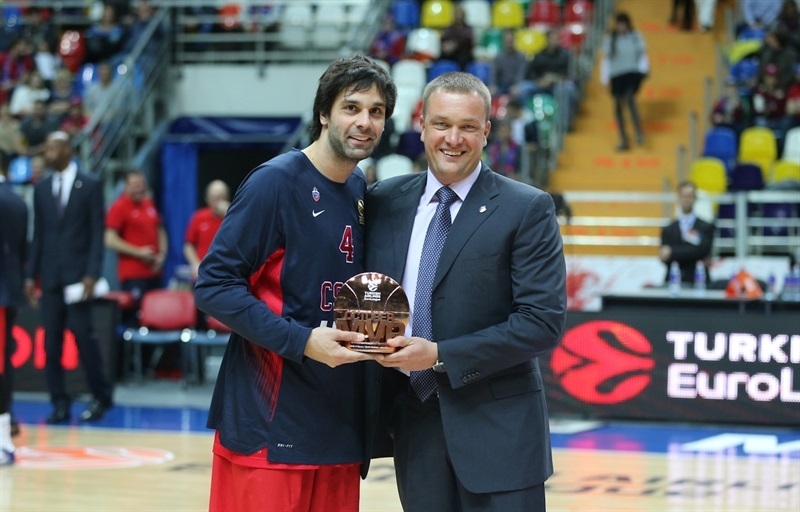 The reigning champs were led by 25 points from Milos Teodosic, who before the game received the Turkish Airlines EuroLeague MVP for October trophy from the hands of Andrey Vatutin, CSKA Moscow President and Chief Executive Officer. 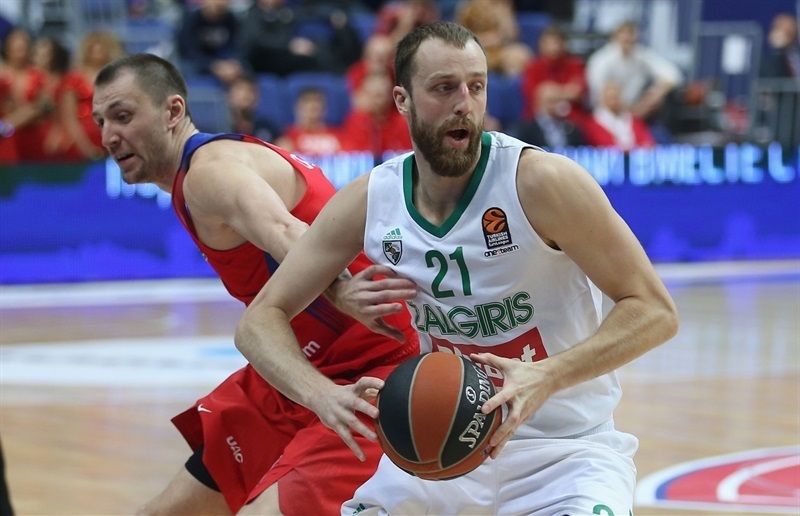 Zalgiris led for the majority of the first three quarters behind a career-night from veteran power forward Paulius Jankunas, but CSKA kept it close with Teodosic scoring 18 of his points before halftime. Zalgiris led 40-41 at the break, and remained in front until the fourth quarter when Aaron Jackson and Jeff Ayers fueled an 11-2 run that put CSKA in front for good. Jackson netted 19 points, Cory Higgins had 15 points and 6 assists, while Ayers collected 13 points on 11-of-12 free throw shooting and 7 rebounds, all in the final 14 minutes of the game. 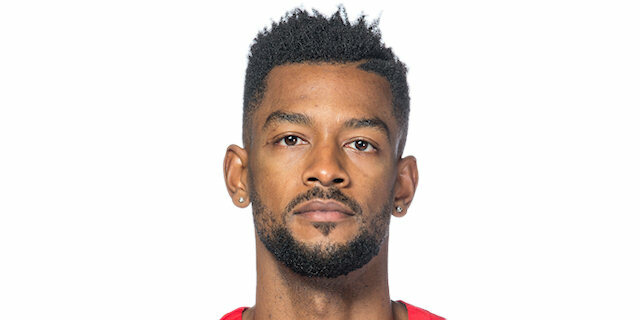 CSKA made a EuroLeague club record 37 free throws, which is also the most free throws made in a single EuroLeague game since 2007. 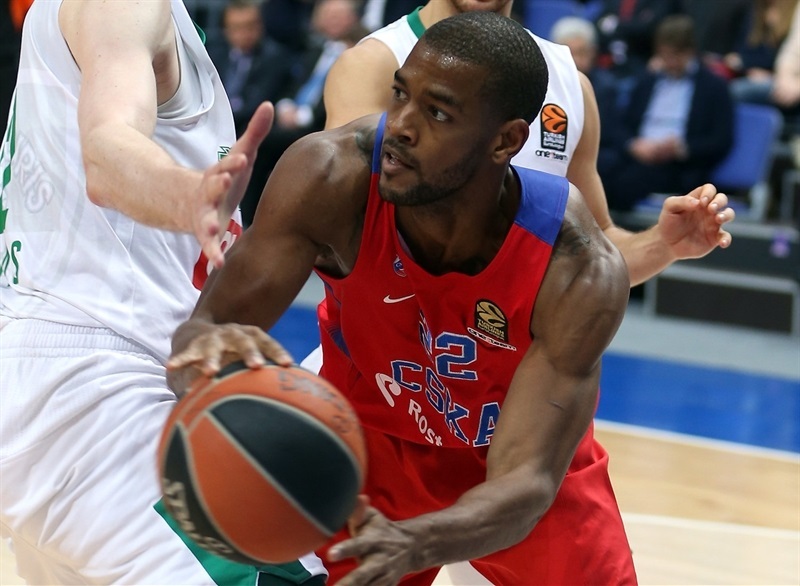 CSKA’s 43 free throw attempts were the most in a single game since 2009. 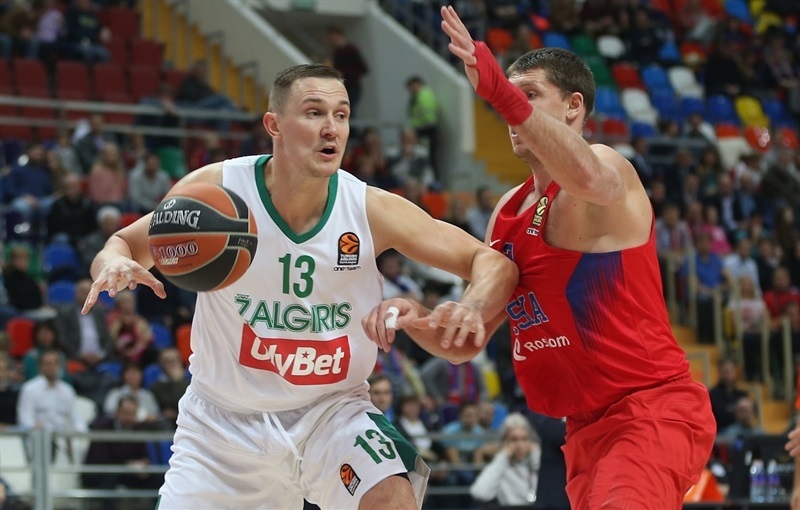 For Zalgiris, apart from Jankunas’s effort of 30 points and 8 rebounds, Kevin Pangos had 14 points and 6 assists and Arturas Milaknis netted 11 in defeat. 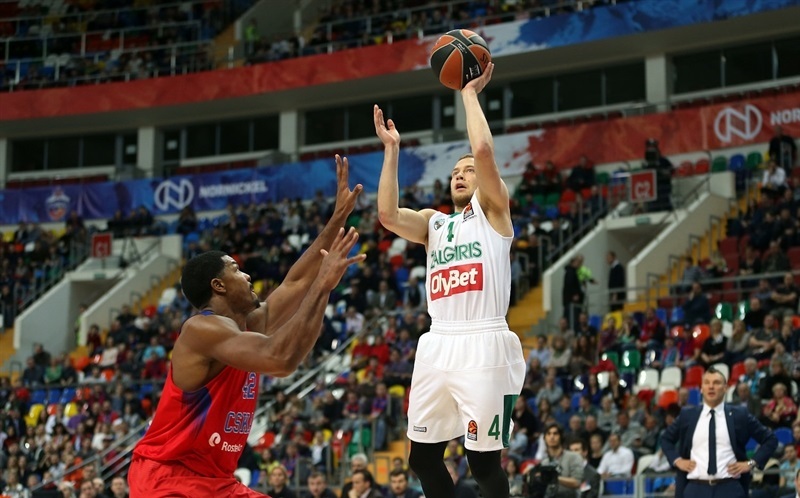 It was a promising start by Zalgiris; Jankunas scored a three-point play to make it 4-12 after five minutes. Jankunas had half of Zalgiris’s first 16 points. Meanwhile, CSKA struggled with its shots early on, but Teodosic got the hosts’ offense going with some nifty passing, and scored 6 points on his own to cut it to 19-21 after 10 minutes. 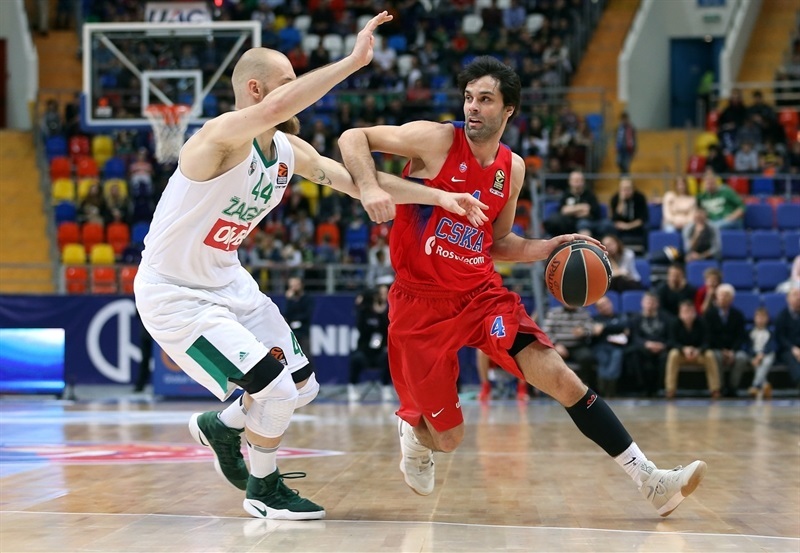 Despite baskets coming few and far between in the second quarter, Teodosic soon got into double figures, but CSKA did not take its first lead until Teodosic hit CSKA’s first triple of the night to make it 30-27 with 4:15 remaining in the half. 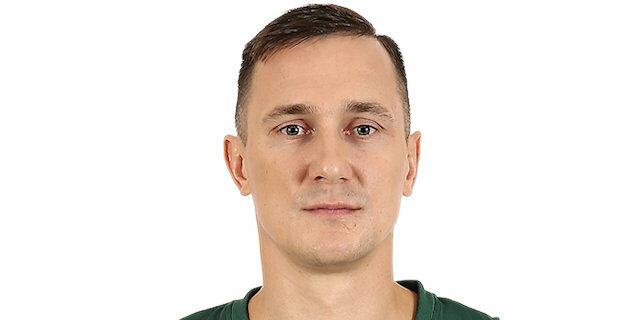 Milaknis immediately returned the favor with his second triple, and with baskets from Jankunas and floaters by Edgaras Ulanovas and Pangos, Zalgiris went back ahead and led 40-41 at halftime. Zalgiris had a better start of the third quarter, with a pair of three-point plays from Jankunas, and consecutive triples from Leo Westermann and Ulanovas that put Zalgiris up 46-55 after only three and a half minutes gone in the third. 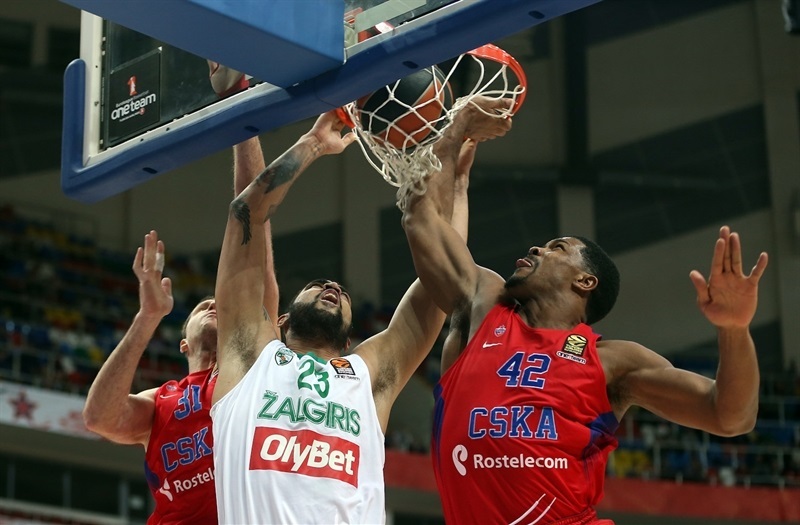 CSKA managed to get to free throw line often, however, and big man Ayers helped solve some of the rebounding problems for the hosts. CSKA got within 67-69 at the end of third, and Jackson nailed a triple to spark an 11-2 run, capped by Ayers’s reverse layup that made it 80-74. A three from Milaknis halved the deficit, but CSKA pulled away to 87-79 with a three-pointer from Vorontsevich. 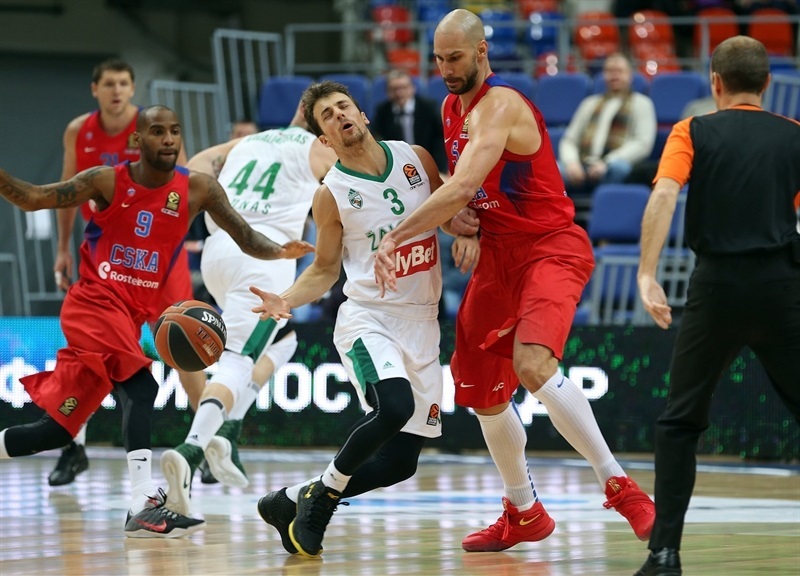 Pangos replied with a three of his own, but CSKA wasn’t letting the lead slip and closed out the game for its league-leading seventh win of the season. "I am pretty happy with how my players played. In the fourth quarter there were some thing we did not do well. Maybe we were not aggressive enough, but in general I am happy to be fighting against the champs in this way. It is difficult to say a lot more. There was a very big difference in foul shots and a very big difference in fouls. In fourth quarter, in a tied game, CSKA has a lot more experience than we do. But my guys are playing well, fighting like crazy and learning. And I hope they will continue making those steps. 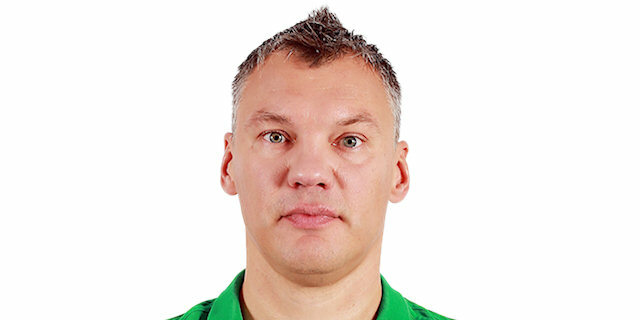 I think it is a great experience for them playing against CSKA." "It was a tough, physical game. We knew it was going to be a fight. That’s what Zalgiris is all about. We started slow, and allowed them to hit us first. Then Jeff Ayers really came in the game and really changed everything. He and Jackson were amazing in the second half, and they are the big reason we got the win." "Zalgiris is a team that everyone should really respect and we respect them .They have a good coach, they move the ball real well, they play defense, they play together. 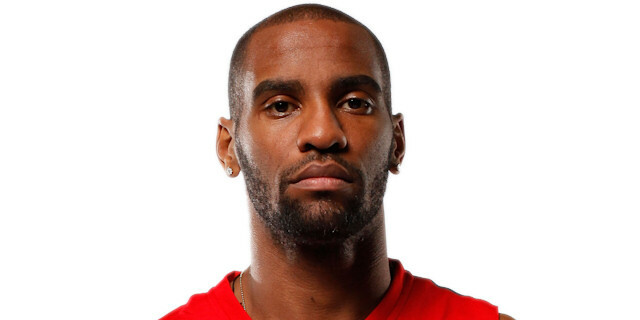 We needed this win because we lost to Darussafaka and wanted to get back on track." "We fought good. It was a good game for us until the fourth quarter. We stopped playing in the fourth quarter. We made a couple tactical mistakes, they scored a couple easy layups and that was the end of the game for us. We tried to fight until last minute, but the last few minutes were not good for us, and we lost."